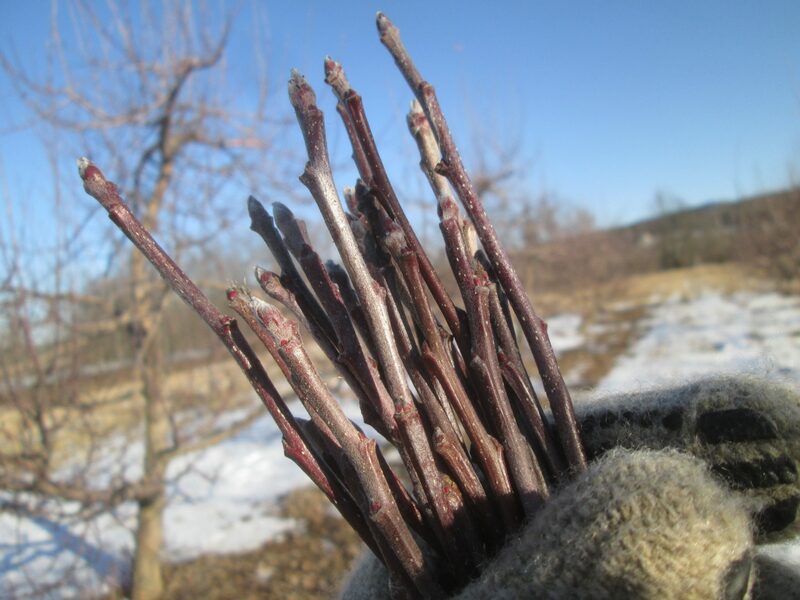 Been busy gathering scion-wood for apple tree grafting coming up this spring. A scion is taken from a desirable apple tree and grafted onto another apple tree (or rootstock). I was fortunate enough to be able to gather from Schoonmakers Farm near Accord, Ulster County. The Schoonmakers are 12th generation farmers in Ulster County; what a beautiful place & what a nice family too.